Do you meet the same problem as below? -- I really love Spotify music but hate lugging my smartphones around or strapping to arm during runs, hikes, trips to the gym, and walks in the park. How can I sync Spotify playlist to iPod Shuffle? Please advice. -- I have Spotify Premuium and I'd like to sync my playlists (offline) to my iPod Shuffle. When I go to sync through spotify - I see the warning on my playlists - "Only local files synced". I have made the playlists available offline, can anyone confirm that my scenrio works and what steps I'm missing. Thanks in advance! Smartphone with fragile and expensive screens is so heavy, hard to carry during exercise that many of Spotify users prefer to copy their Spotify playlist to tiny iPod Shuffle for streaming on the move. However, when you go to sync them to shuffle, there is a message pops up suddenly saying “Only local files synced”. What is “local files”? According to Spotify’s iPod integration FAQ, “local files” basically means your music - your own MP3 collection, which confusingly doesn't include music from the Spotify catalog that you've downloaded to your computer. It seems that only the iPod touch which was installed Spotify app can be used for listening to Spotify content, right? Still want to transfer Spotify music to iPod shuffle for enjoying? Luckily, there is great program can help you complete this hard task perfectly. In order to sync Spotify music to iPod shuffle, you need download and convert them to DRM-free "local files" first. NoteBurner Spotify Music Converter is an all-in-one Spotify Music Downloader, which can help you remove DRM from Spotify music easily, download and convert them to MP3, AAC, FLAC or WAV with 100% original quality. The following is a detailed tutorial about how to download and transfer Spotify music to iPod Shuffle for enjoying with Spotify Music Converter for Windows. Please download this useful tool on your computer first before getting started. When finish customization, click "Convert" button to start downloading. 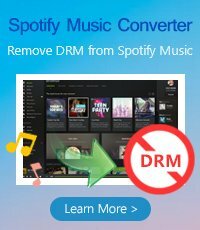 After downloading, you can get DRM-free Spotify music, and transfer them to any devices as you want. After finishing converting, you can use iTunes or Syncios to connect your computer with iPod, and then transfer converted Spotify music to iPod. Syncios is a free iPod/iPhone/iPad Transfer, it can manage/backup/transfer your iPod Shuffle with just a few clicks. Free, Safe and Powerful! Here we will show you how to copy Spotify converted music to iPod shuffle with Syncois. Step 1: Download and install Syncios on your computer. Step 2: Connect your iPod shuffle to computer with USB and launch Syncios. Step 3: Go to the left panel of Syncios, Click Media tab on the left panel. Unfold Media tab, highlight Music on the right panel, then you will find those options: Import, Export, Remove, New Playlist, which enables you transfer music to your iPod shuffle freely and easily! 2. Choose Converted Spotify audio files in your computer and import to your iPod shuffle. 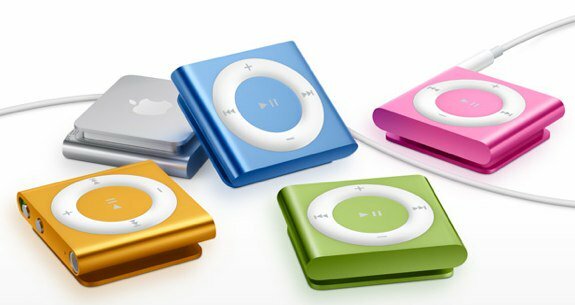 After copying or transferring Spotify tracks or playlists to your iPod, now you can easily listen to Spotify songs on iPod shuffle while traveling or exercising.